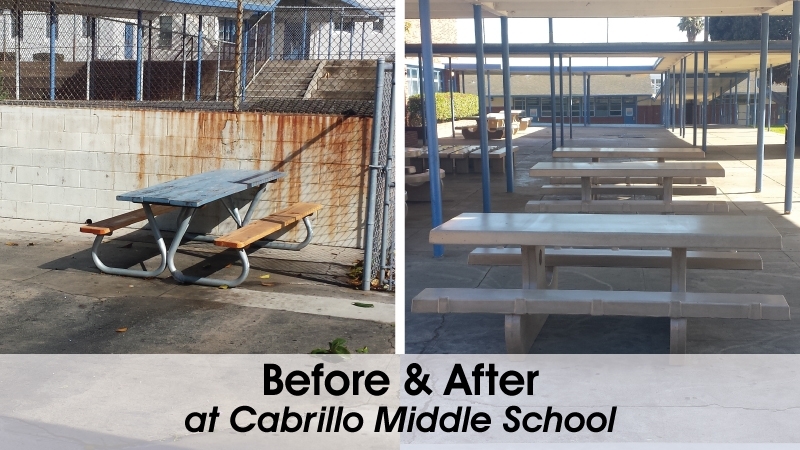 Cabrillo Middle School came to us in need of replacing old picnic tables and benches at their school. They were having issues with the costly maintenance and vandalism with the wood tables they had at the time. The tables are outside and would be exposed to the elements. 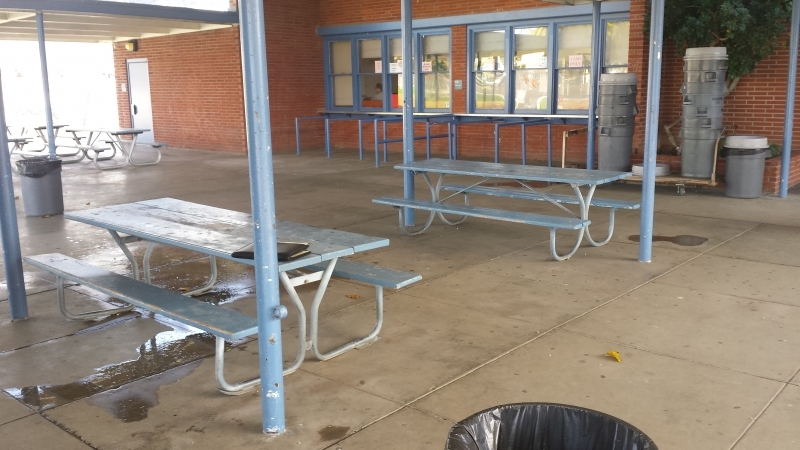 Overtime, wood tables deteriorate and the school needed a solution. 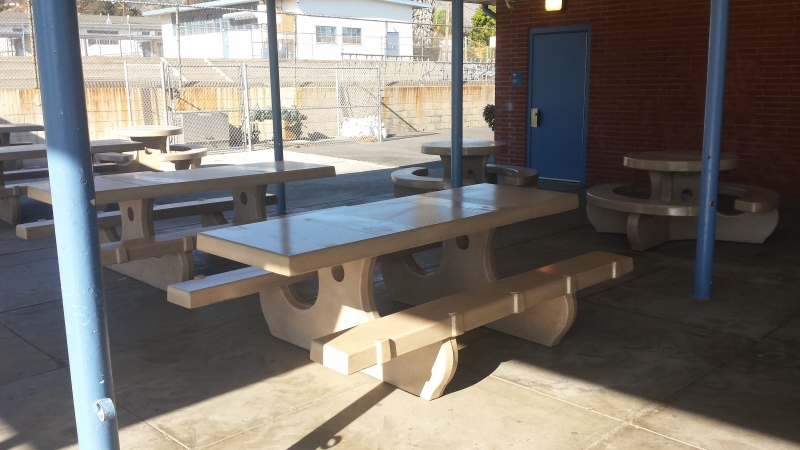 As part of the project, we assisted the principal with layout options of rectangle and round tables. 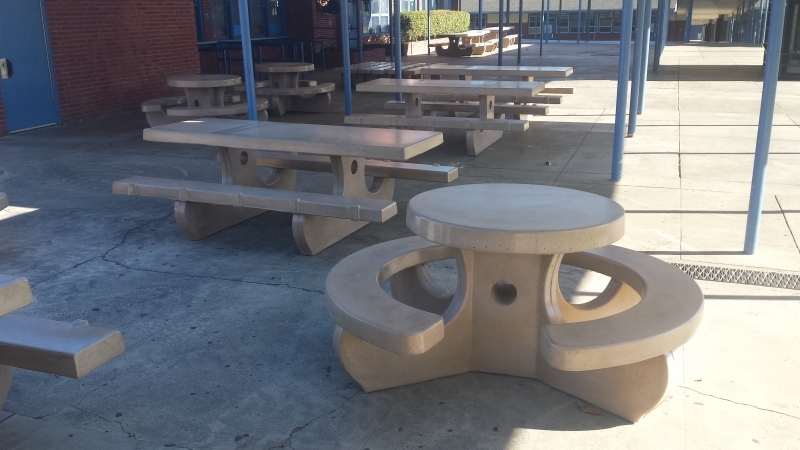 We manufactured 100SSK (rectangle tables with anti-skate bumps) and 106S with nano sealer. 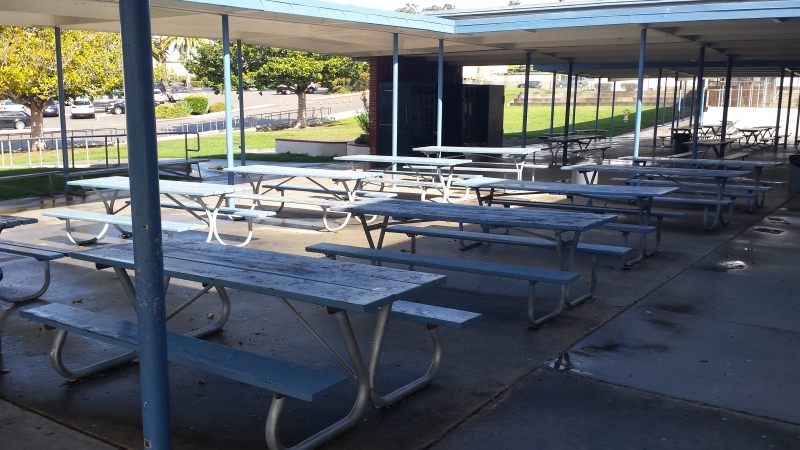 Our nano sealer is a great option for schools, making lunch time artwork a breeze to remove. 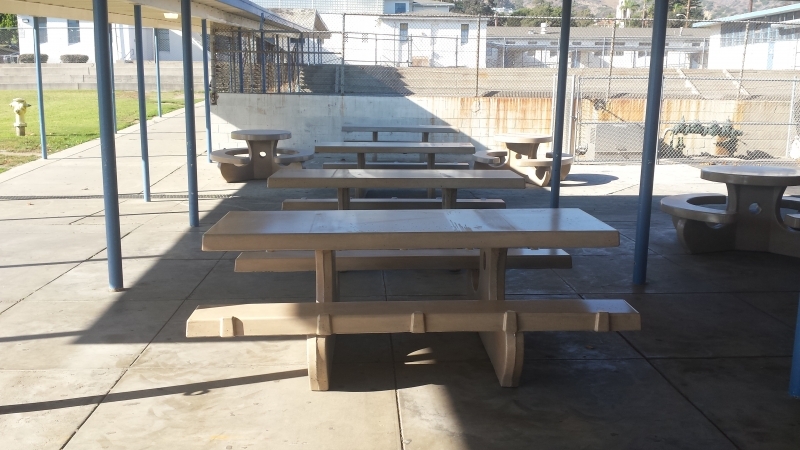 Now the school won't have the costly repair issues and the kids have a sturdy, durable place to enjoy lunch. The before and after photos are a great example of how we can help upgrade to concrete amenities.